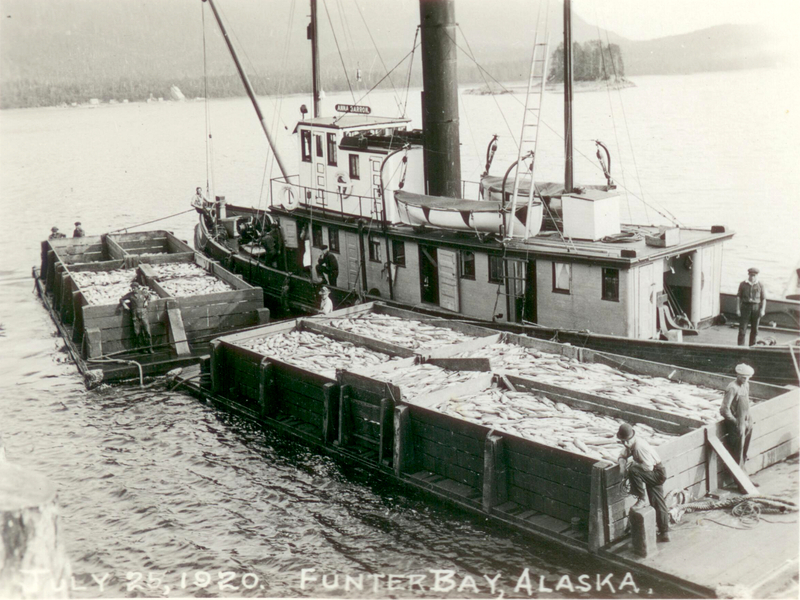 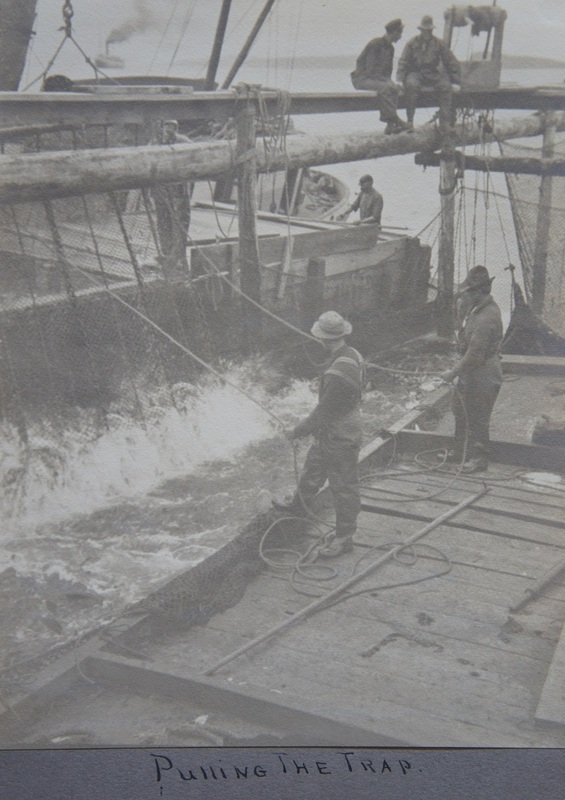 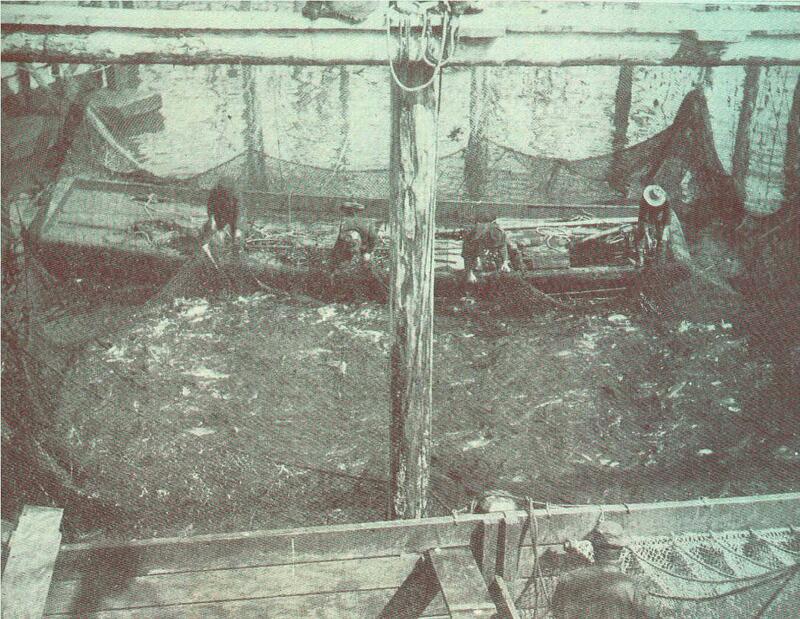 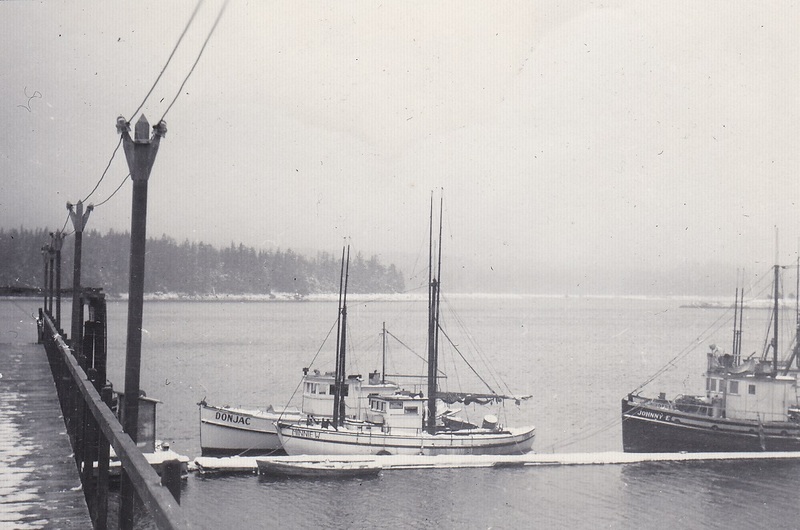 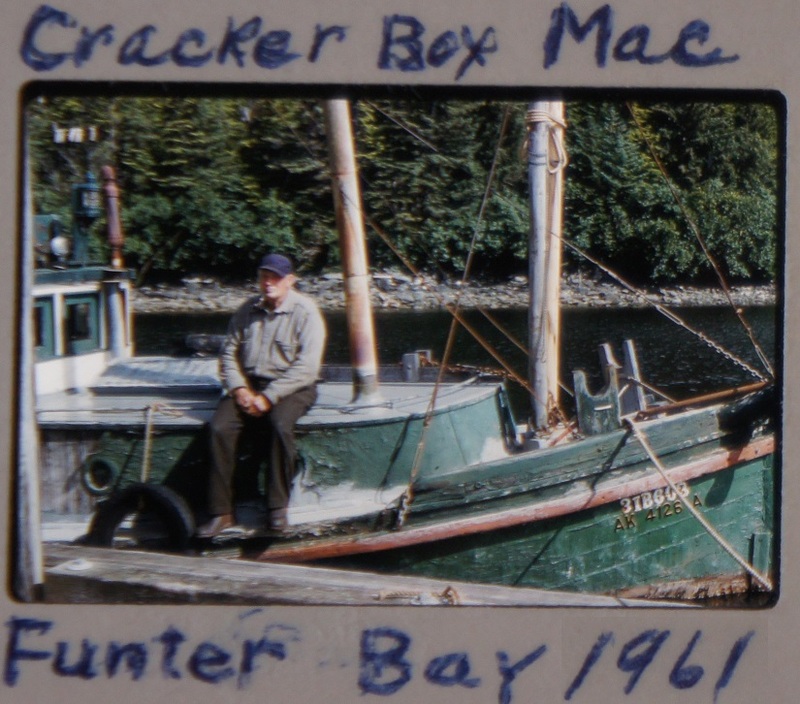 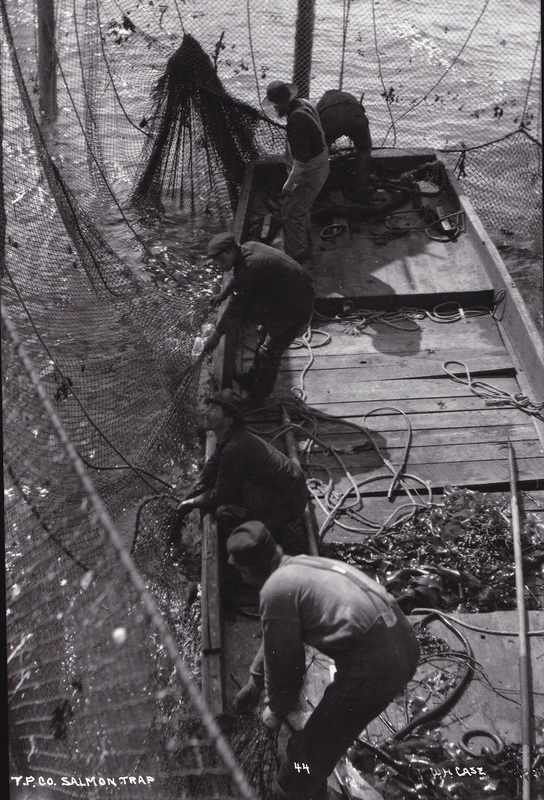 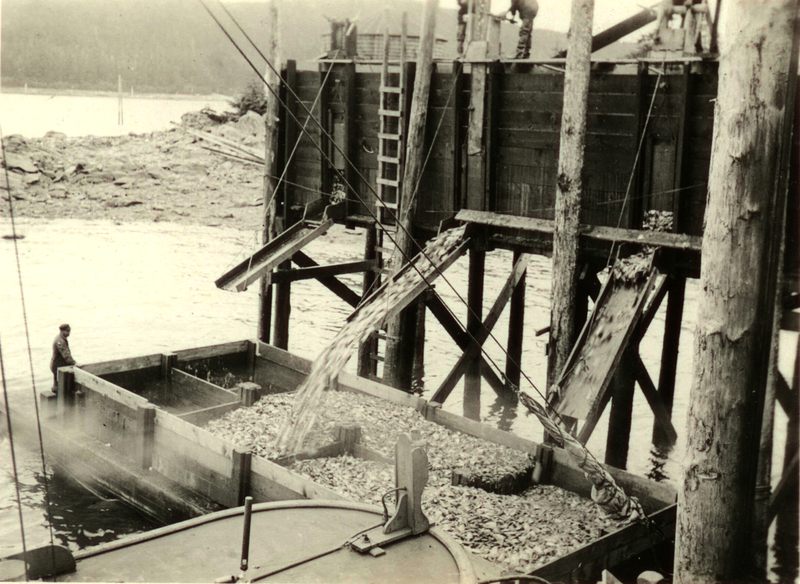 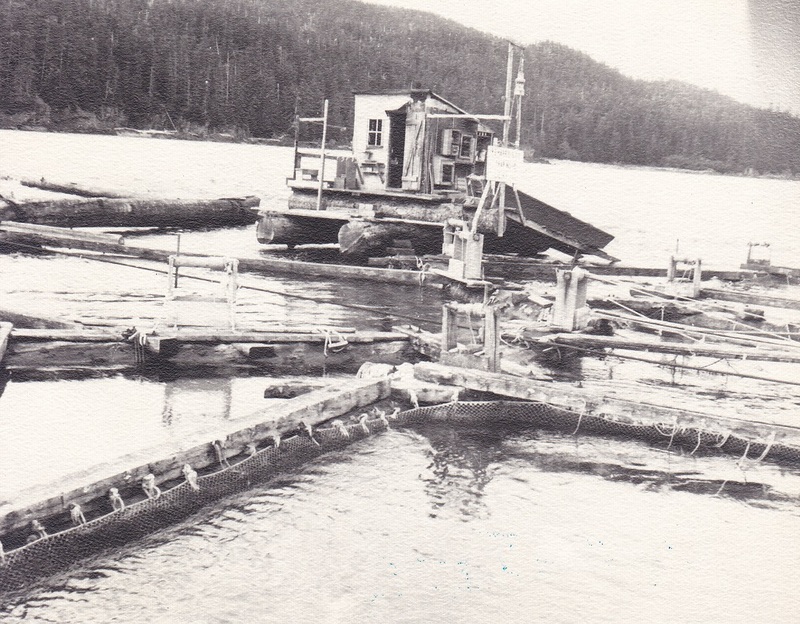 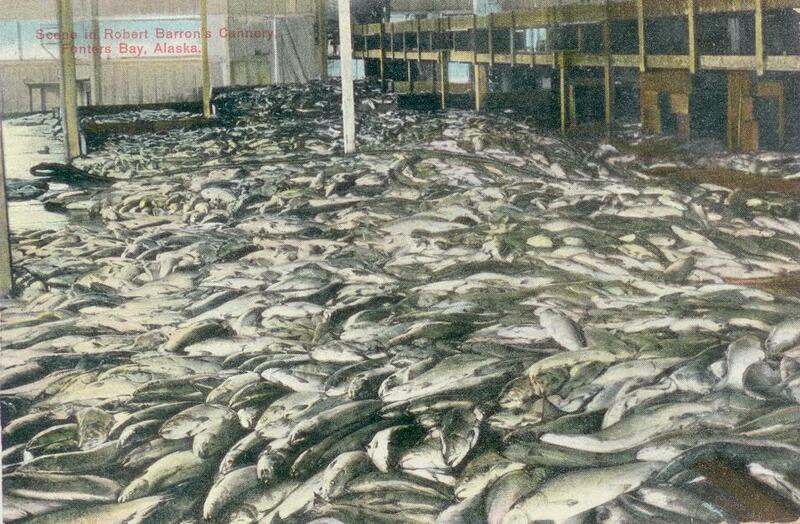 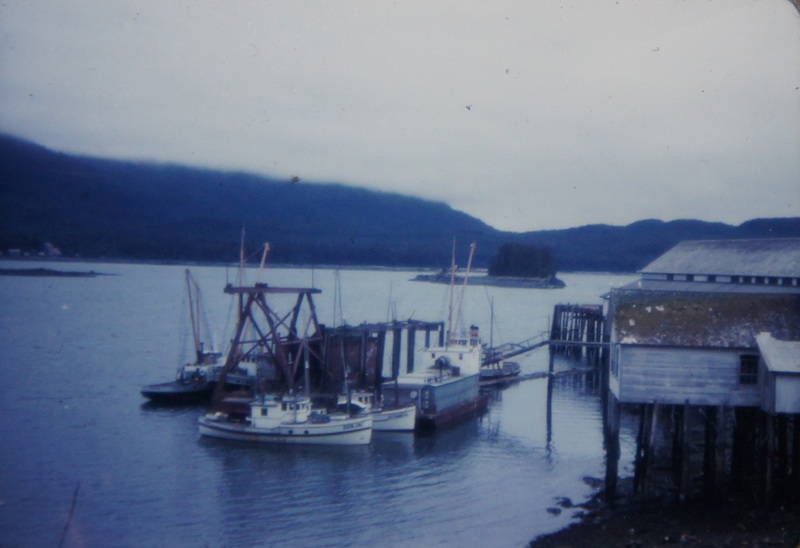 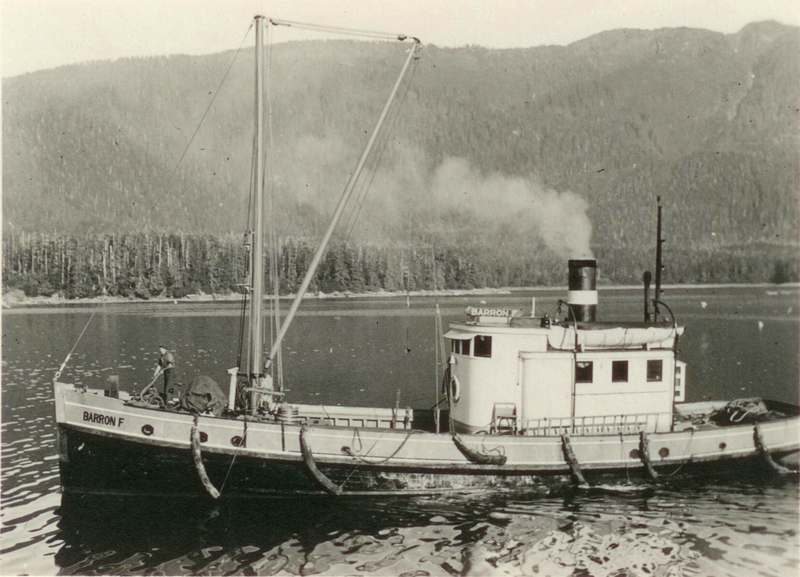 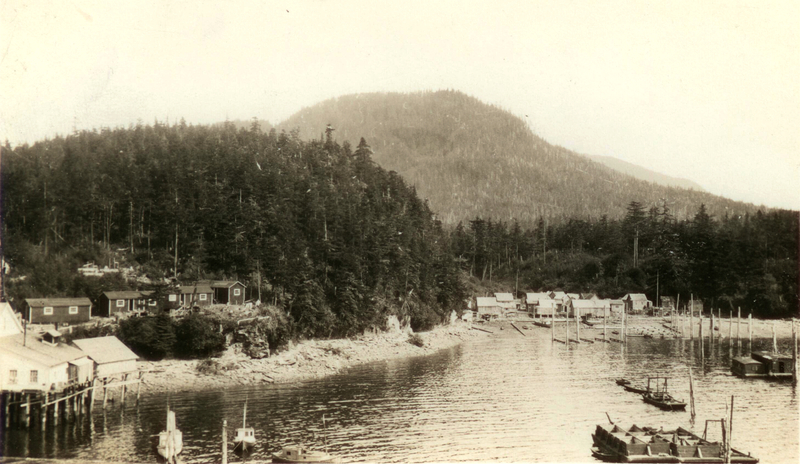 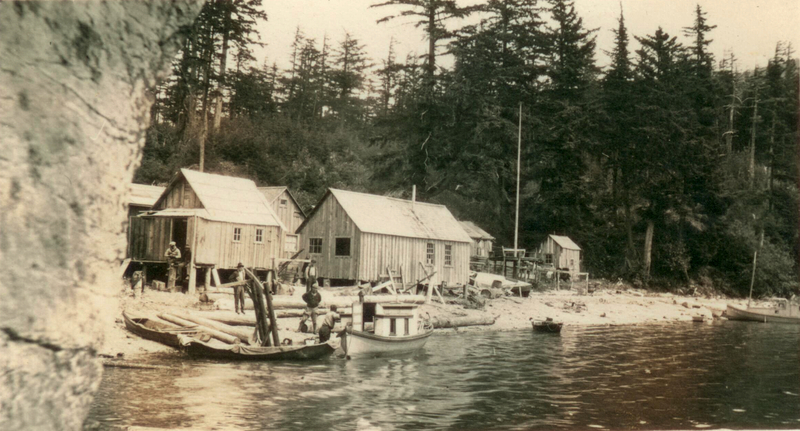 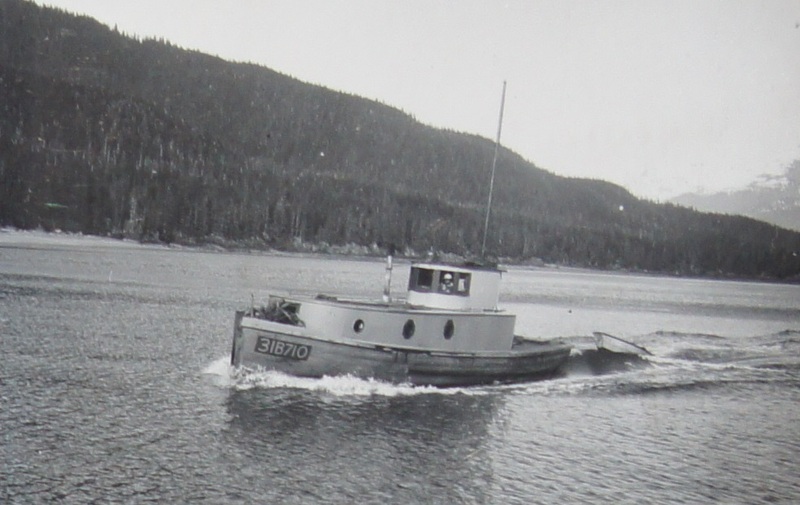 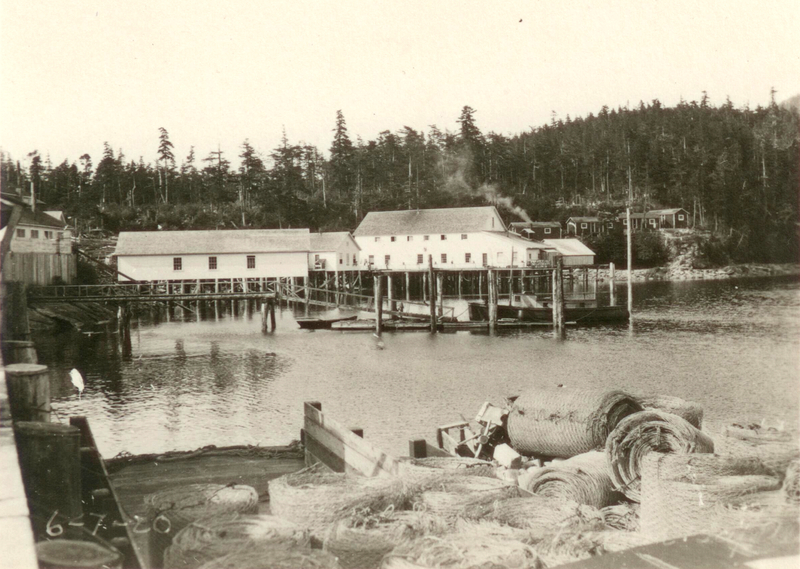 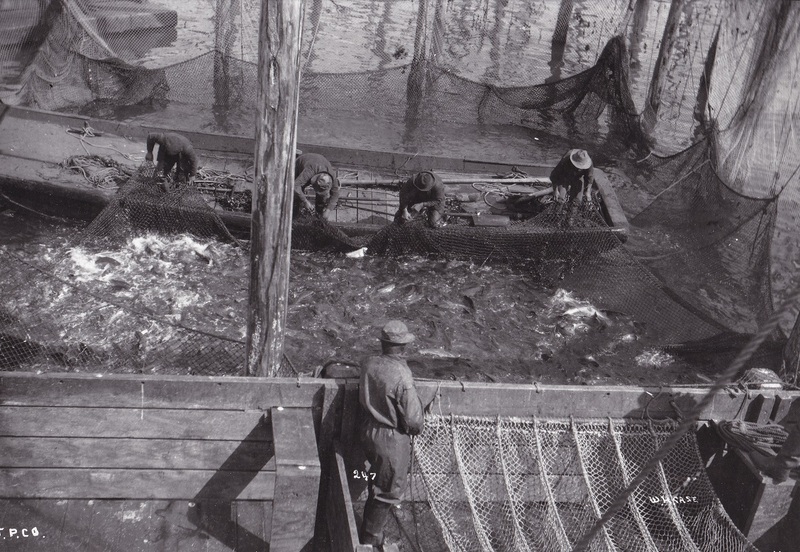 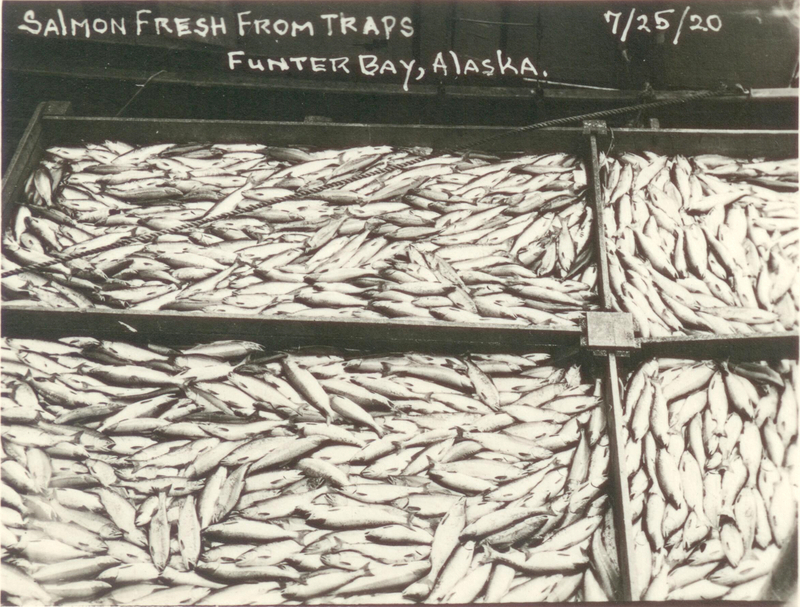 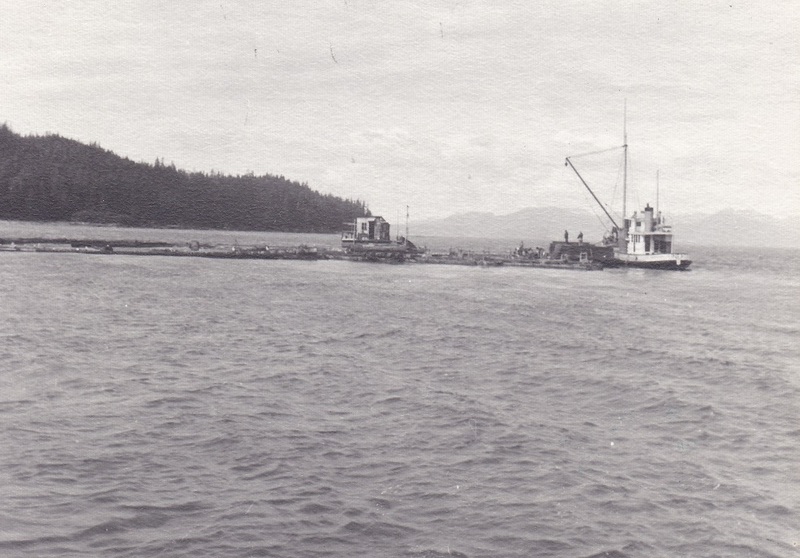 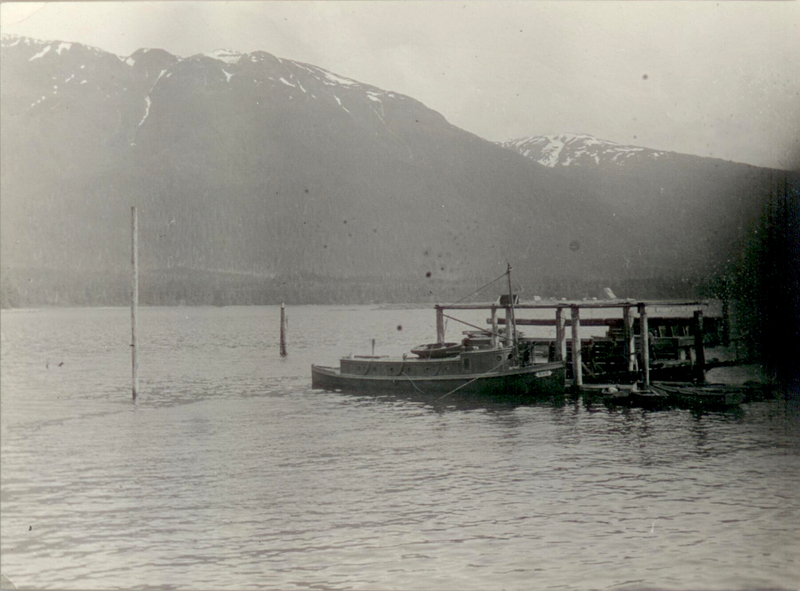 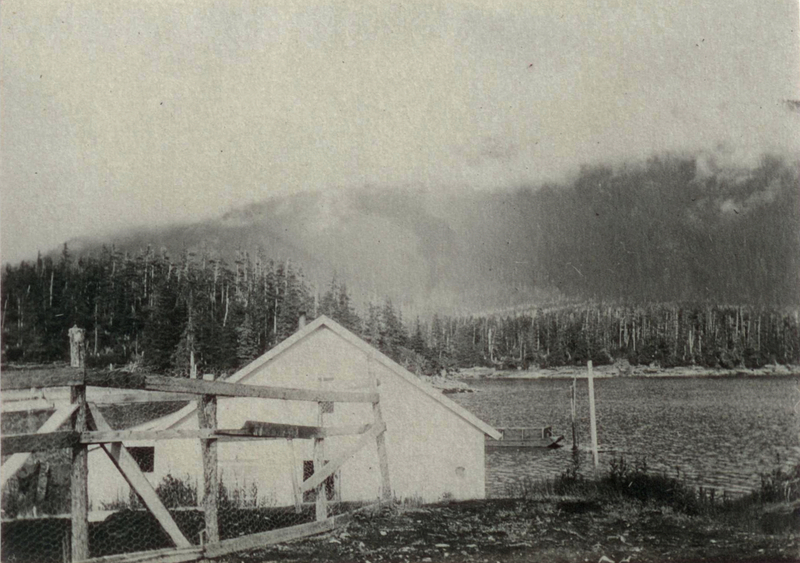 Fish Traps were a major part of Southeast Alaska industry in the first half of the 20th century. 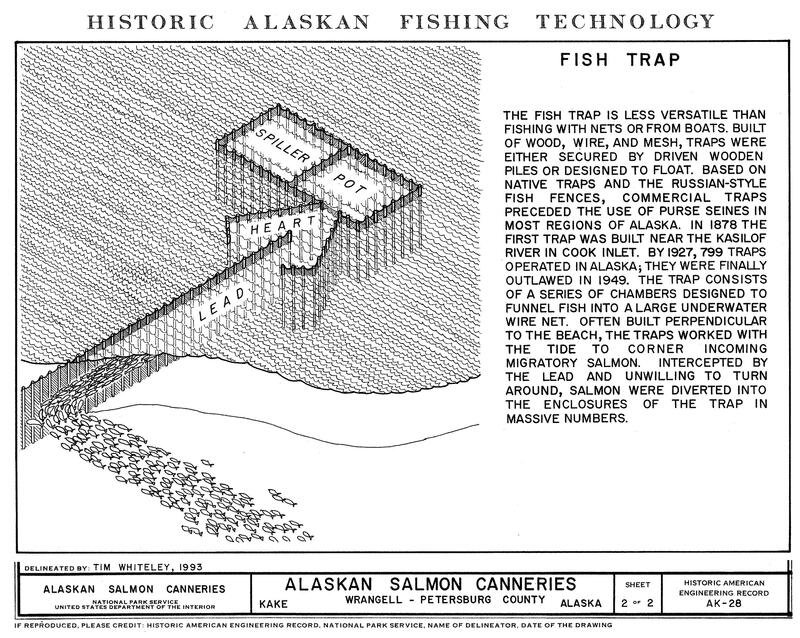 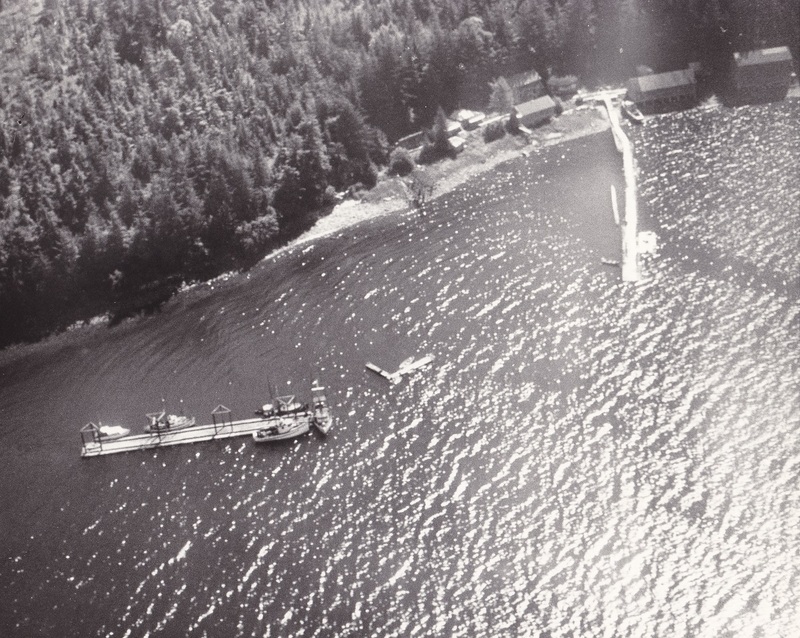 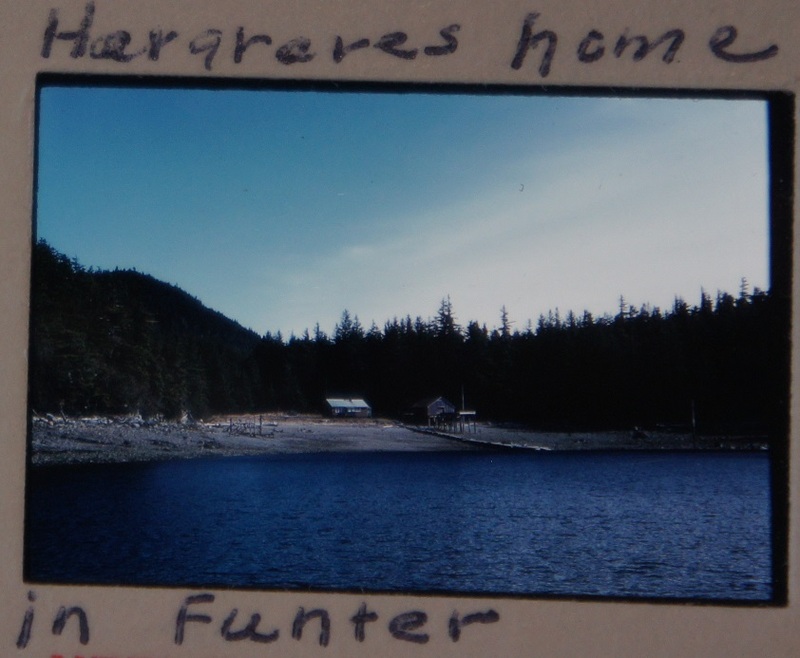 I’ve mentioned the traps around Funter Bay in many previous entries, including some photos of trap operations here and some of the designs and technology here. 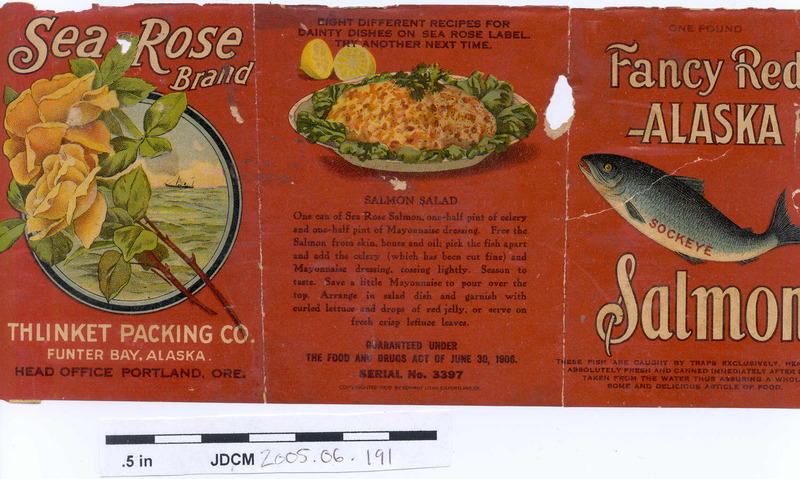 Tepee Brand Salmon Label, courtesy of George Freddora. 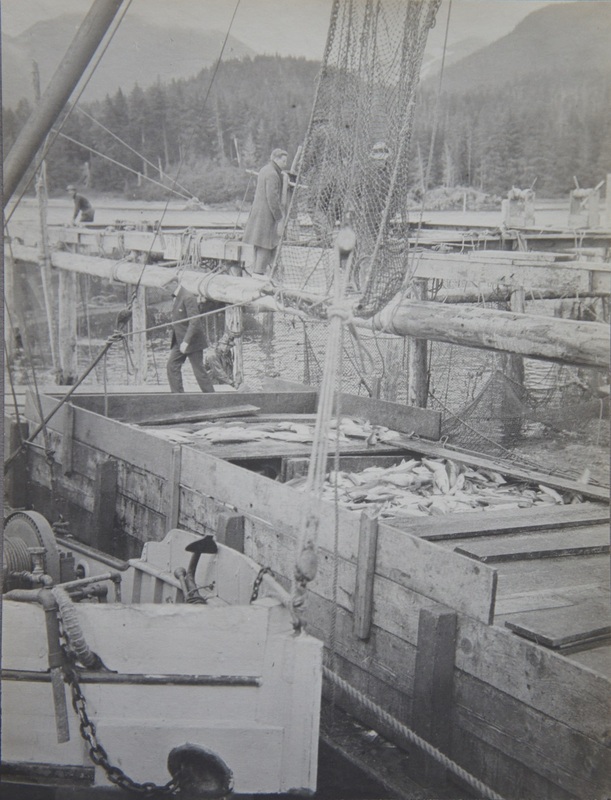 Below are a few photos of trap operations, including “pulling” or “brailing” the fish out of the trap. 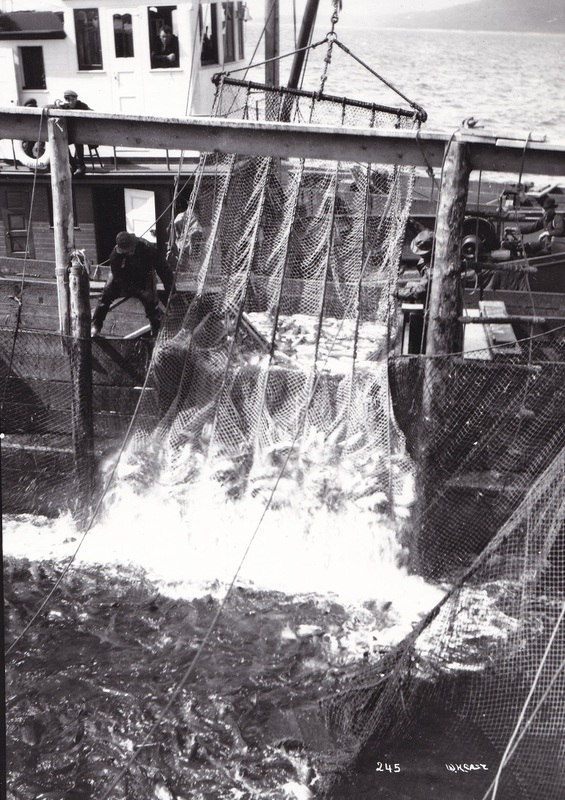 This was a popular scene to photograph, as the wriggling, splashing fish made for an exciting display. 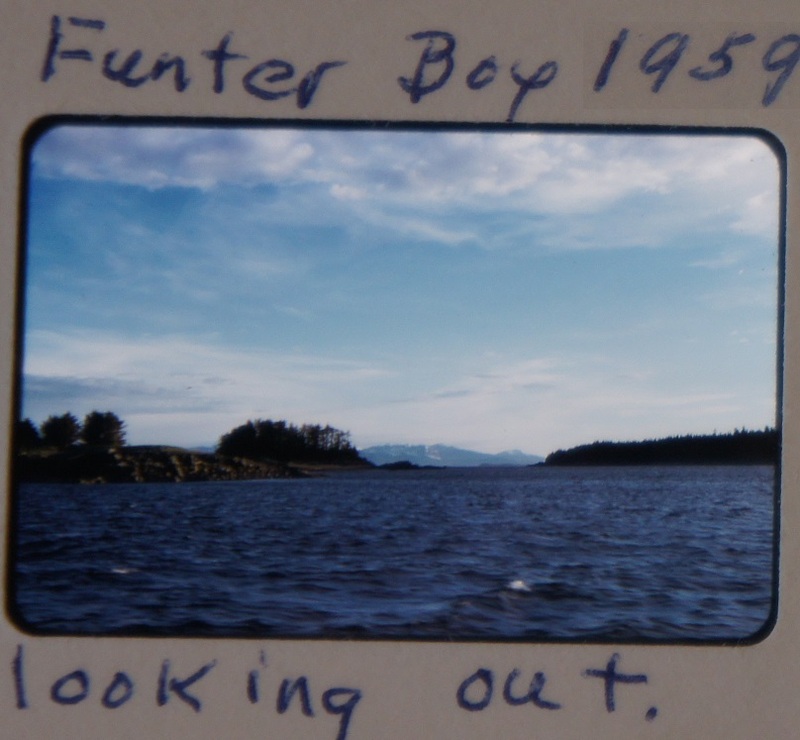 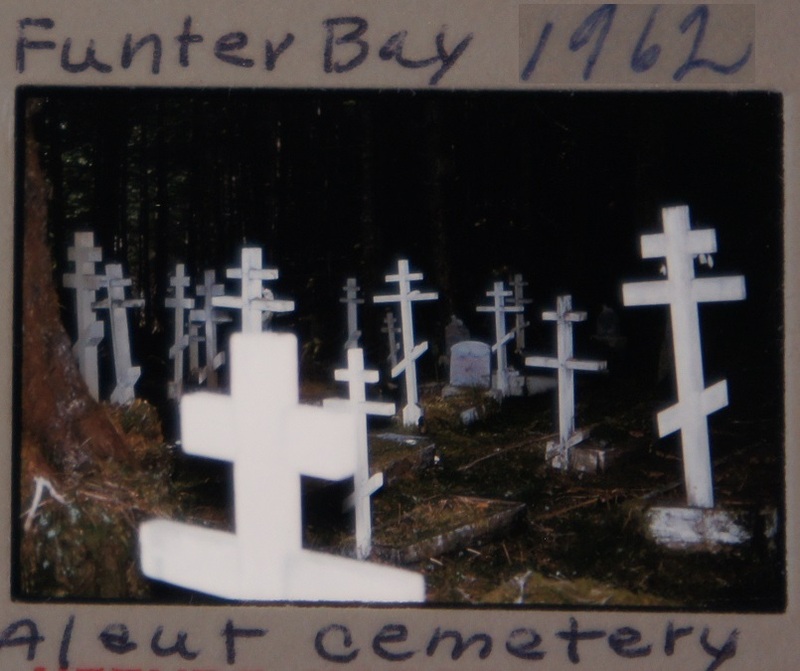 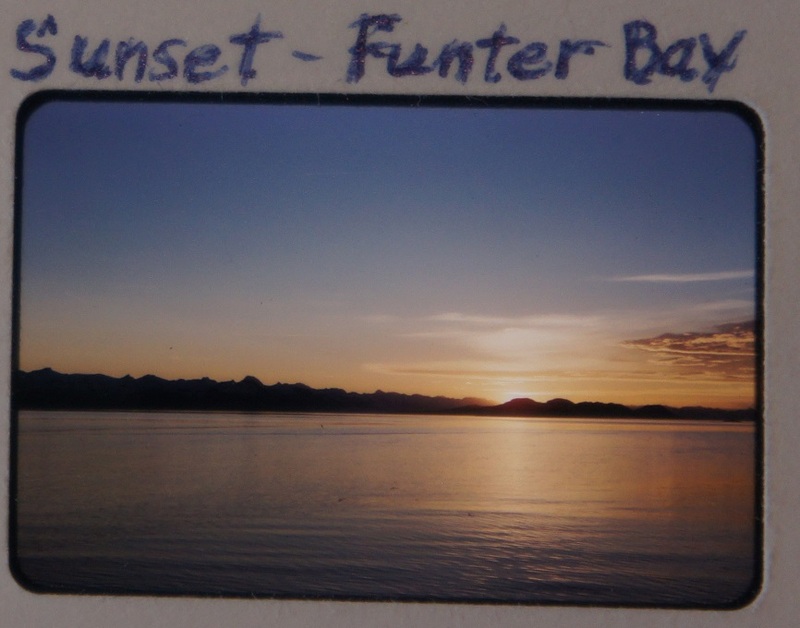 As such, there are a lot of duplicates and variants of these photos for Funter Bay! 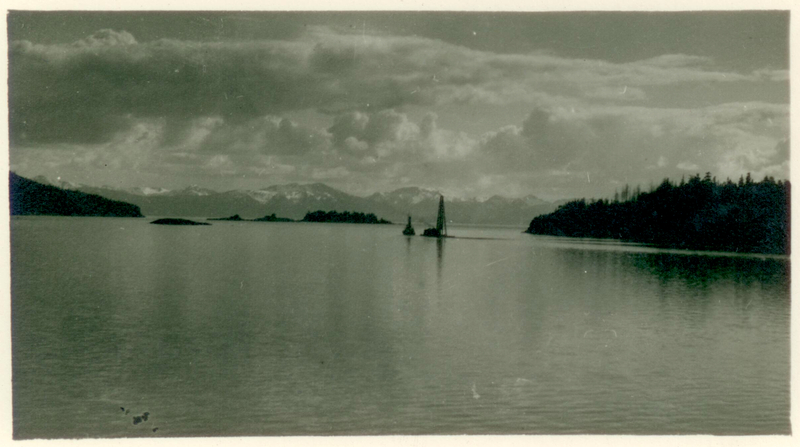 My apologies if I have posted some of these particular images before. 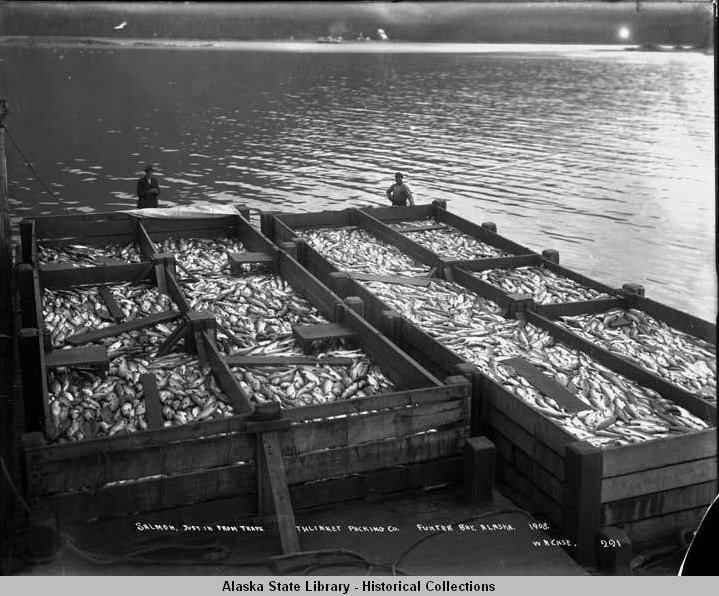 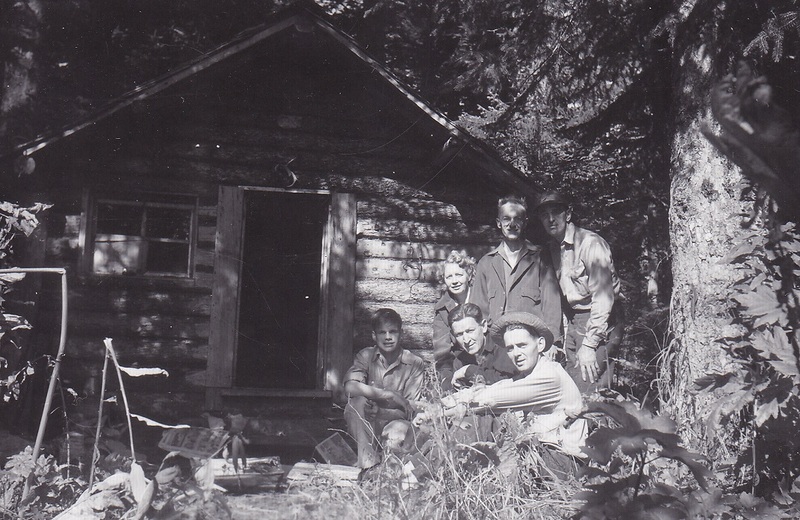 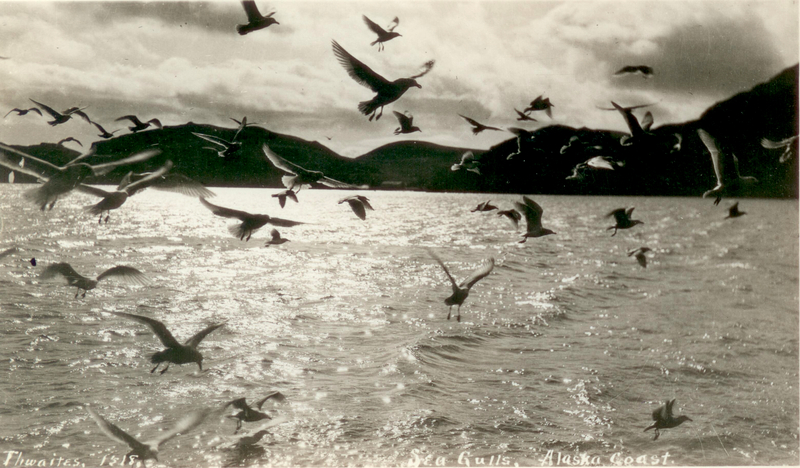 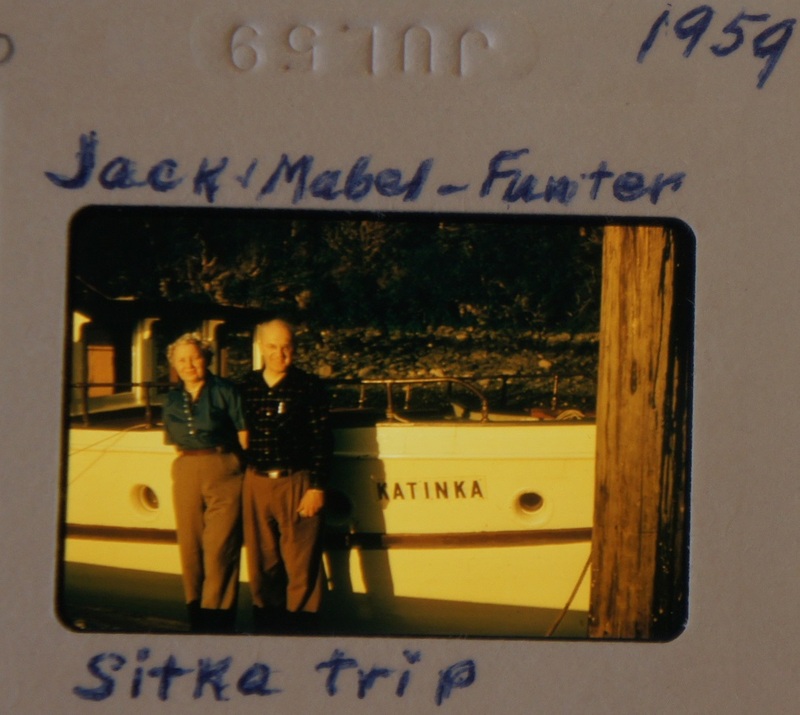 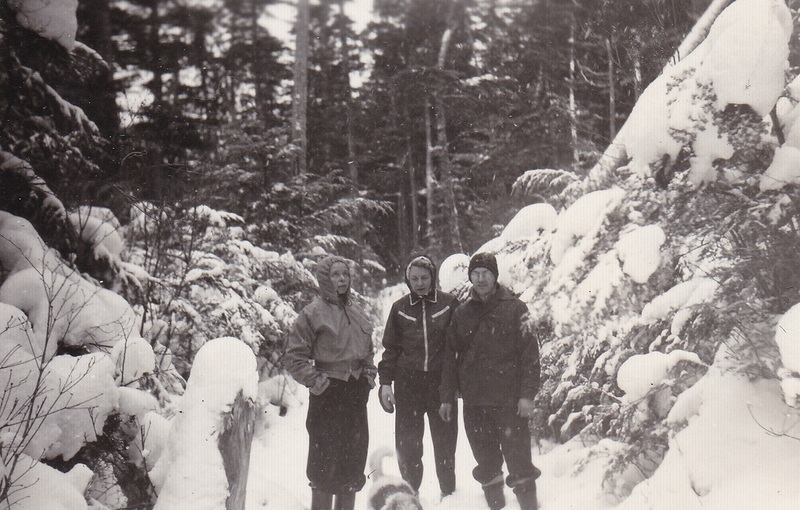 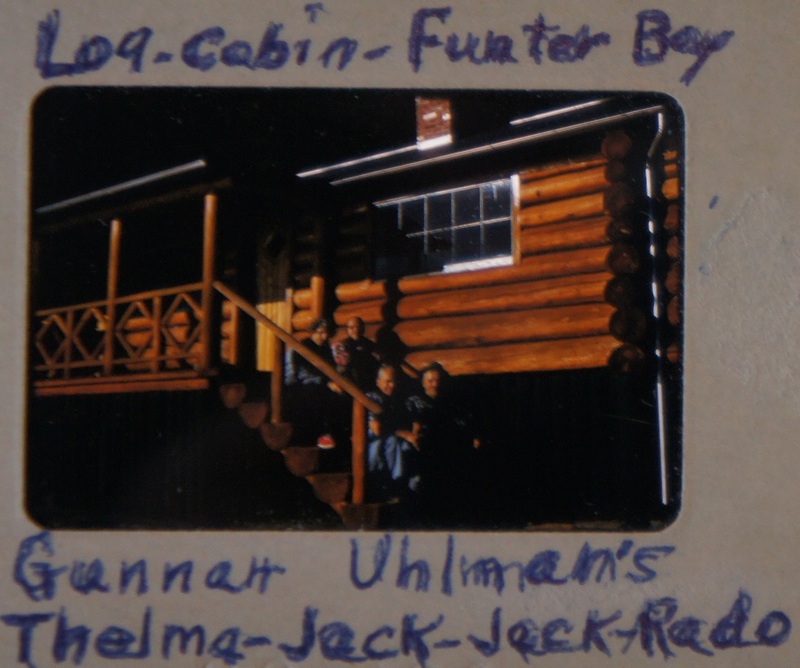 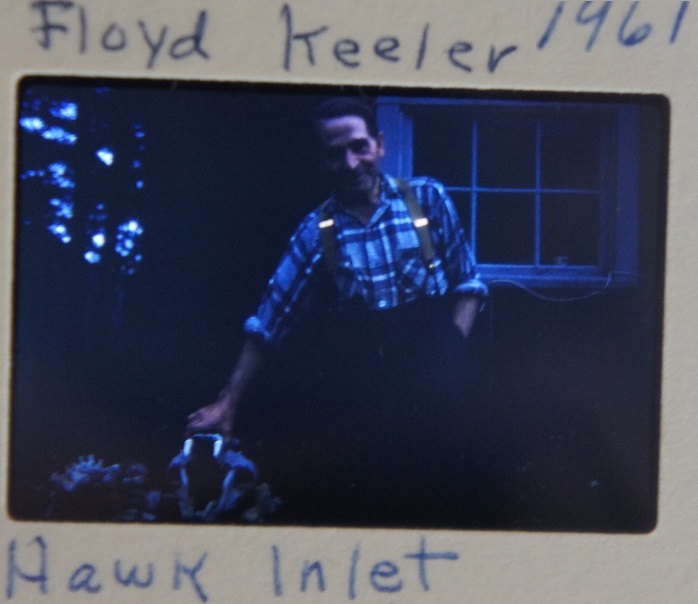 (Various sources including Alaska State Library and University of Washington Digital Archives). 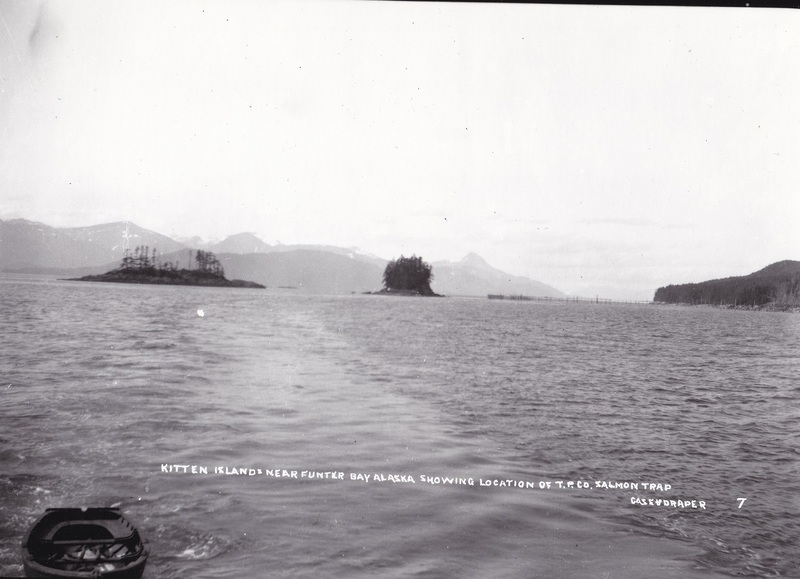 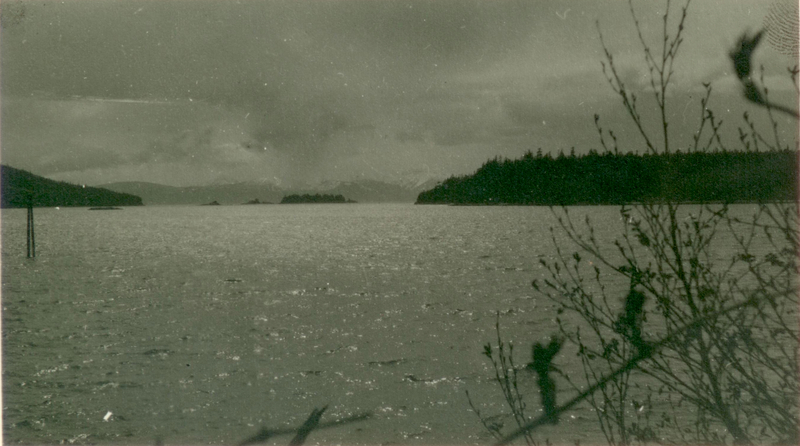 And finally, a look back at the trap (center-right) and the Kitten Islands, on the way back to the cannery. 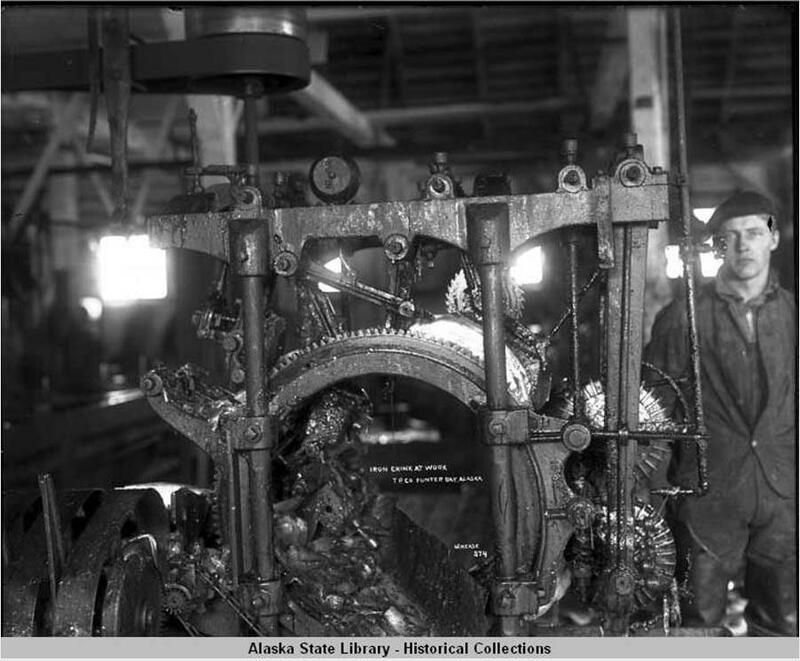 Earlier this summer I visited the Juneau-Douglas City Museum on a research trip. 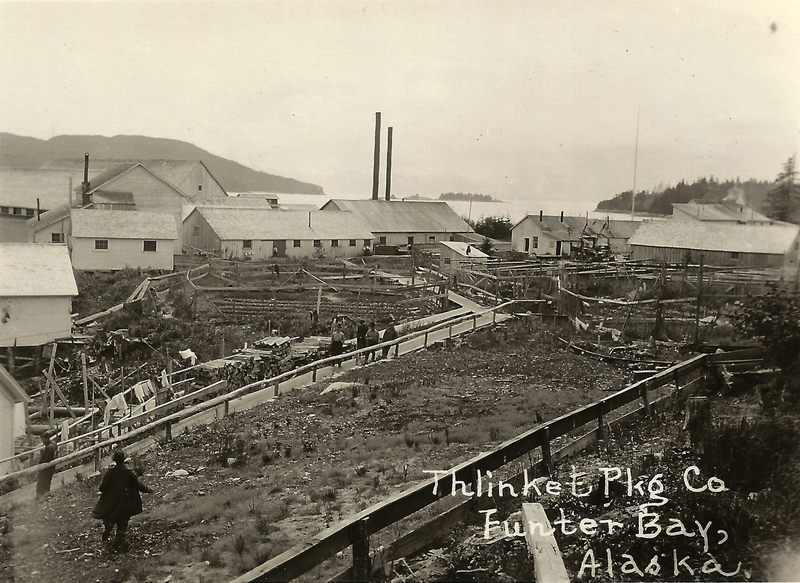 Among the many interesting pieces in their collections were a set of business license and related paperwork for the Thlinket Packing Co cannery at Funter Bay. 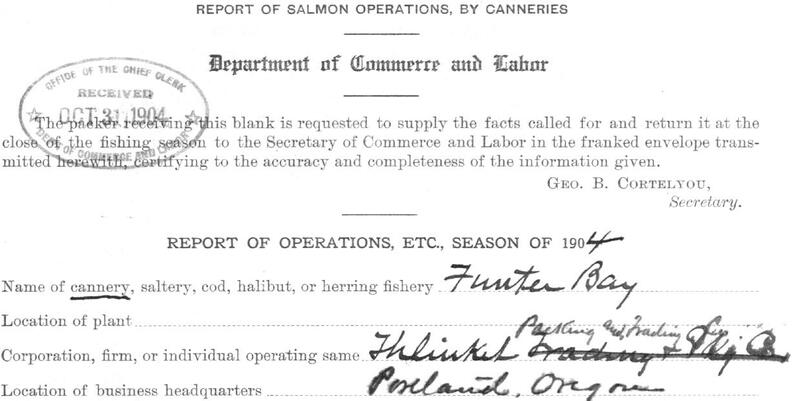 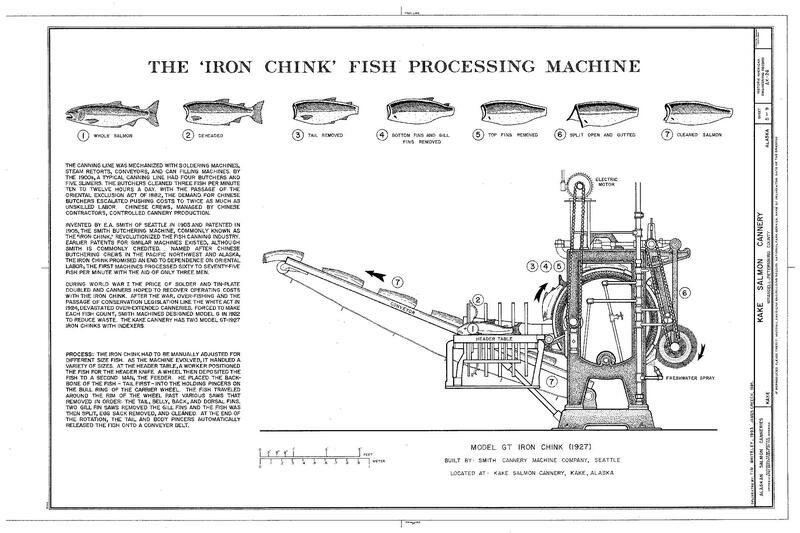 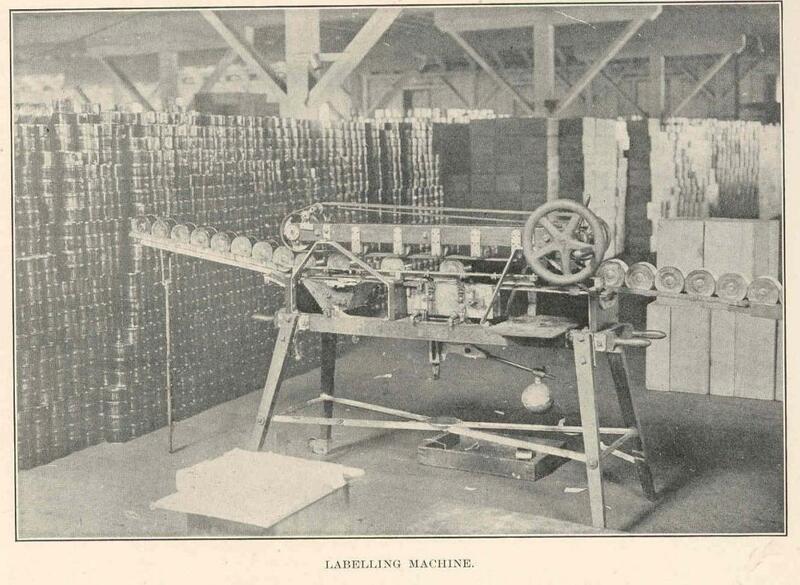 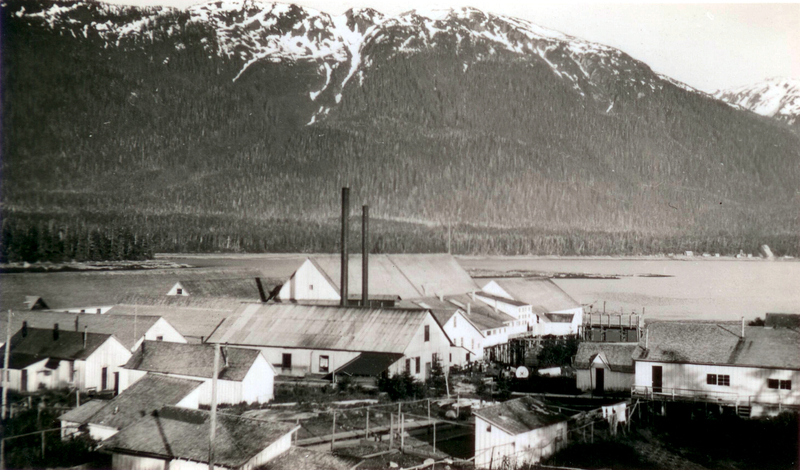 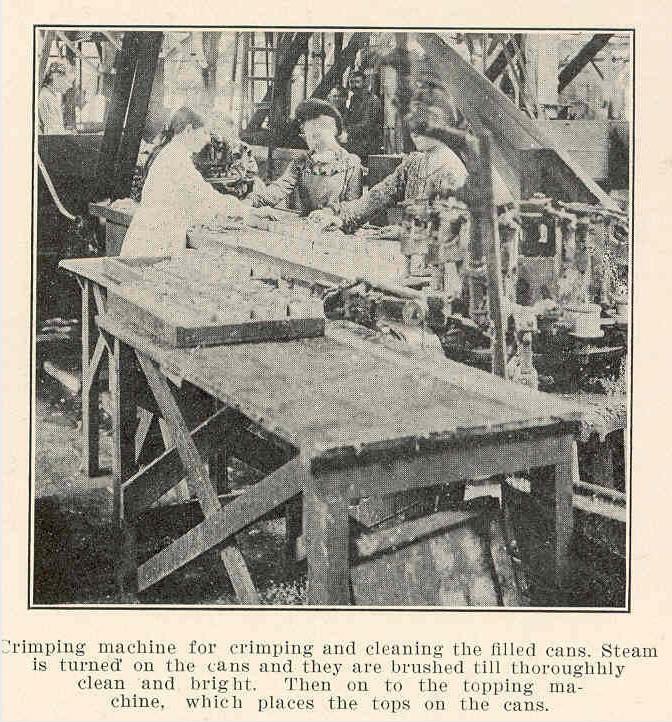 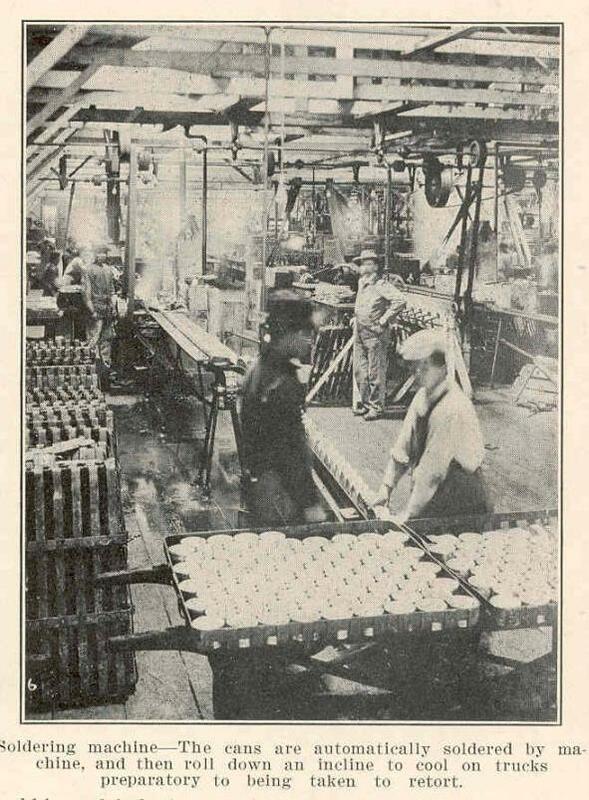 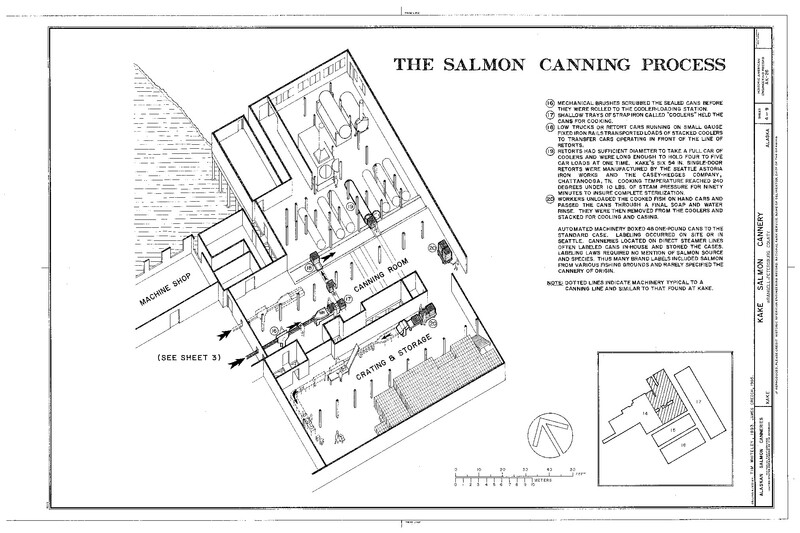 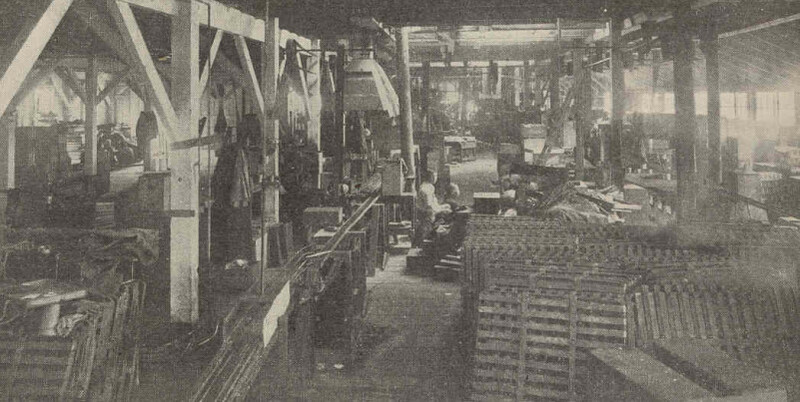 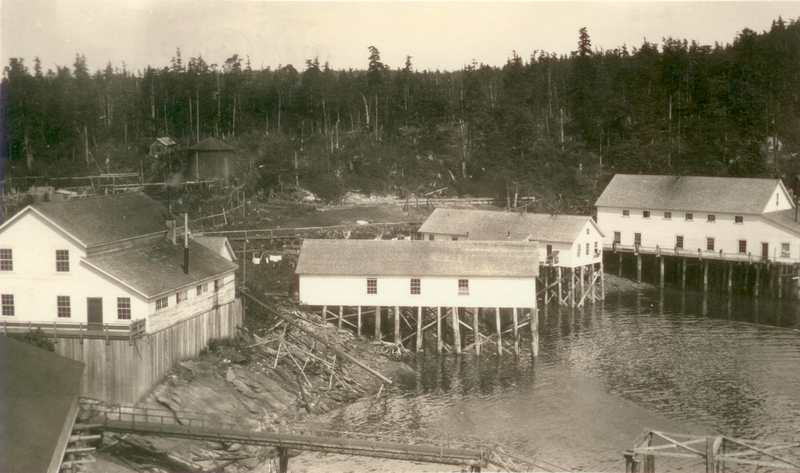 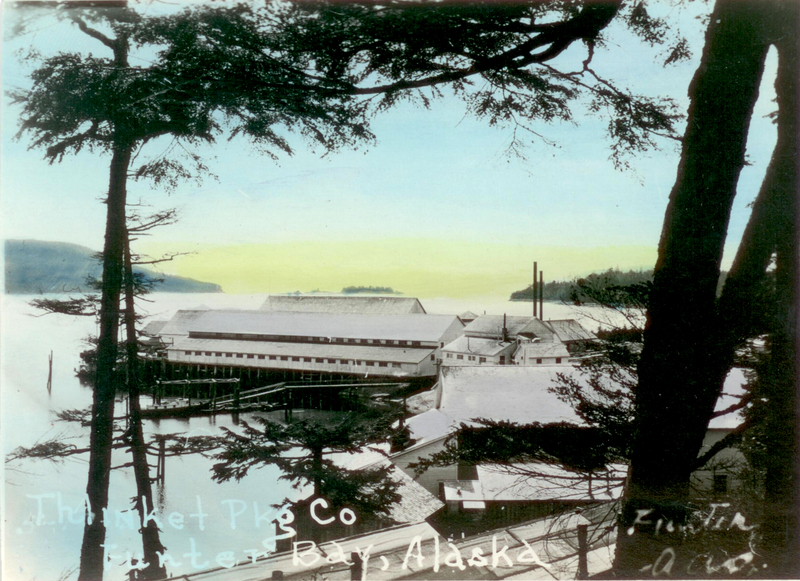 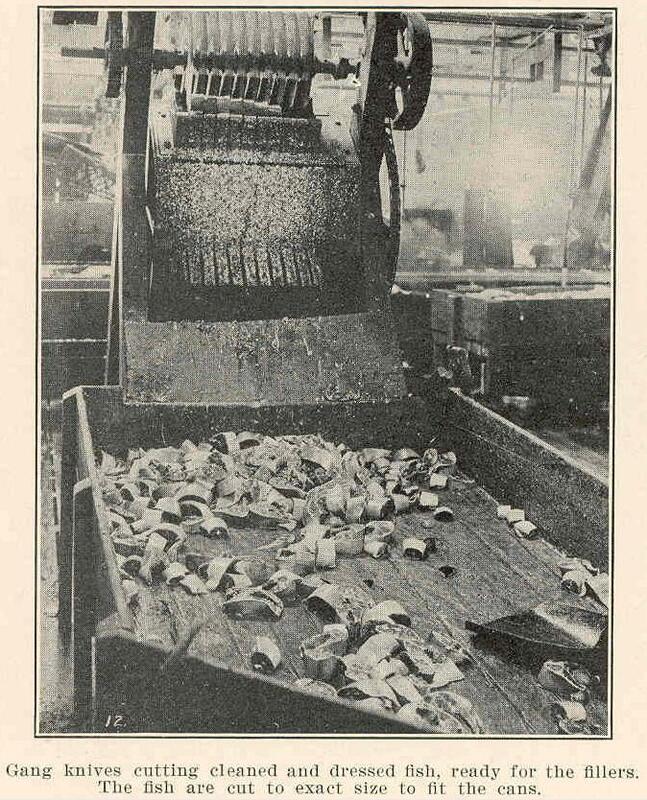 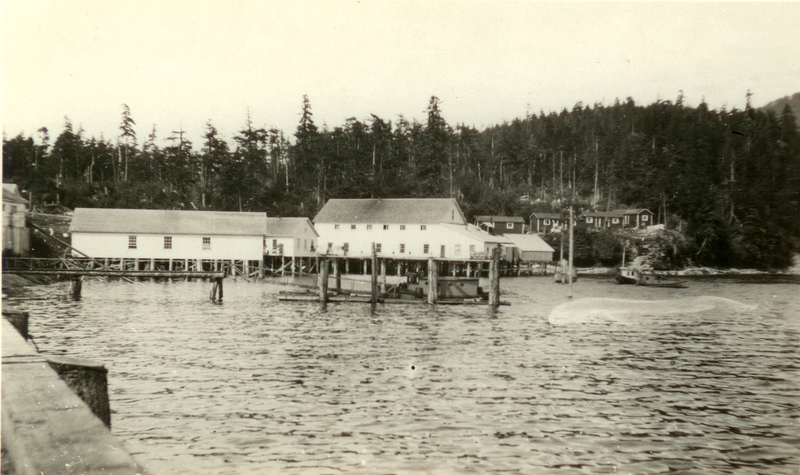 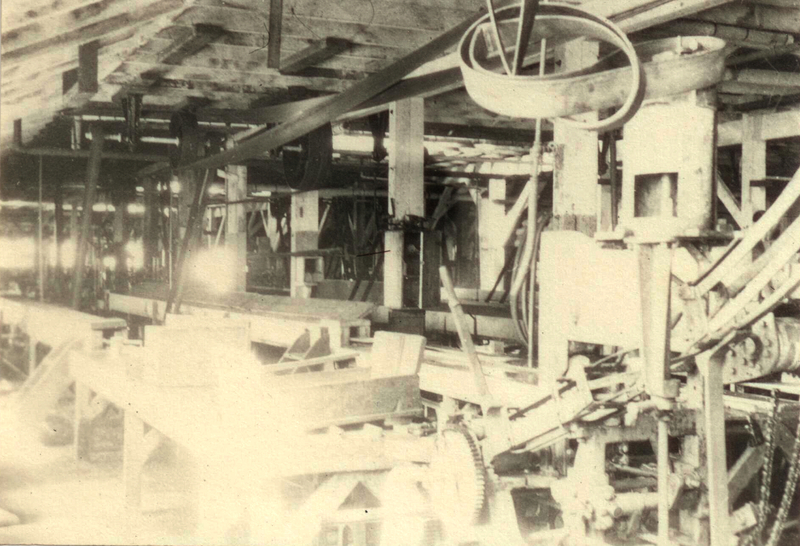 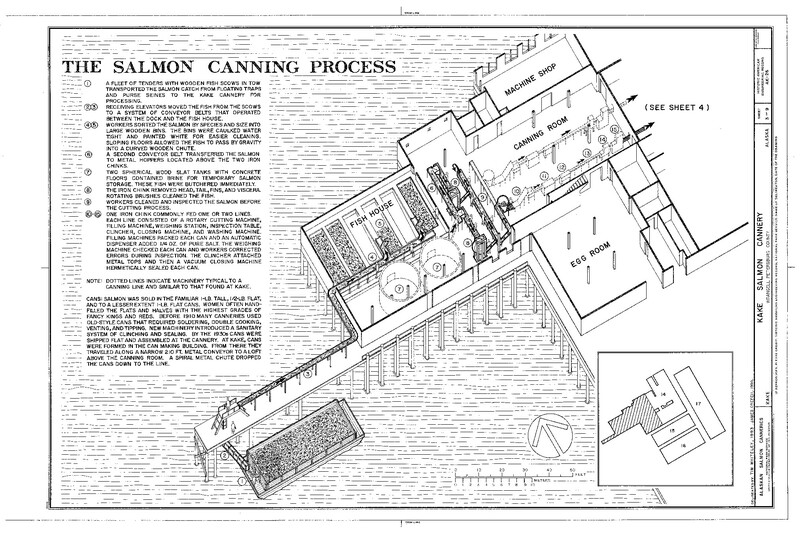 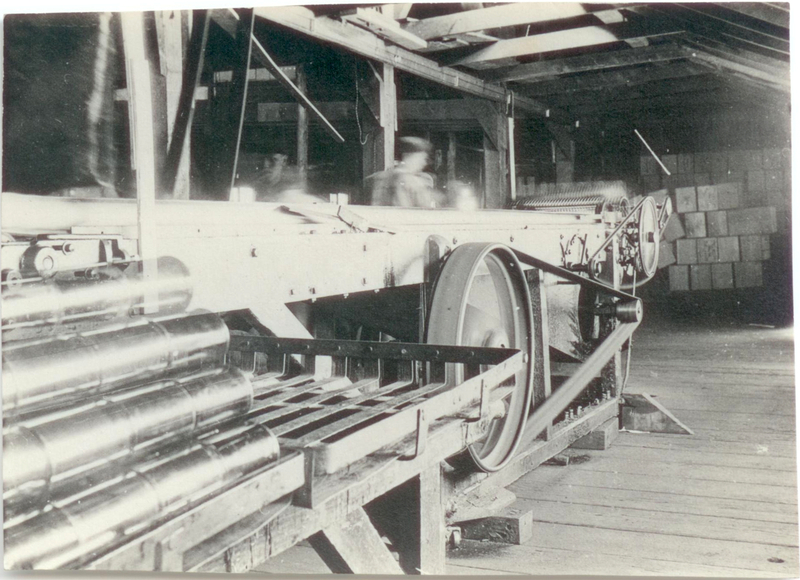 There are separate application forms in the file for both the cannery and the saltery side of the operation, for the season starting in 1908. 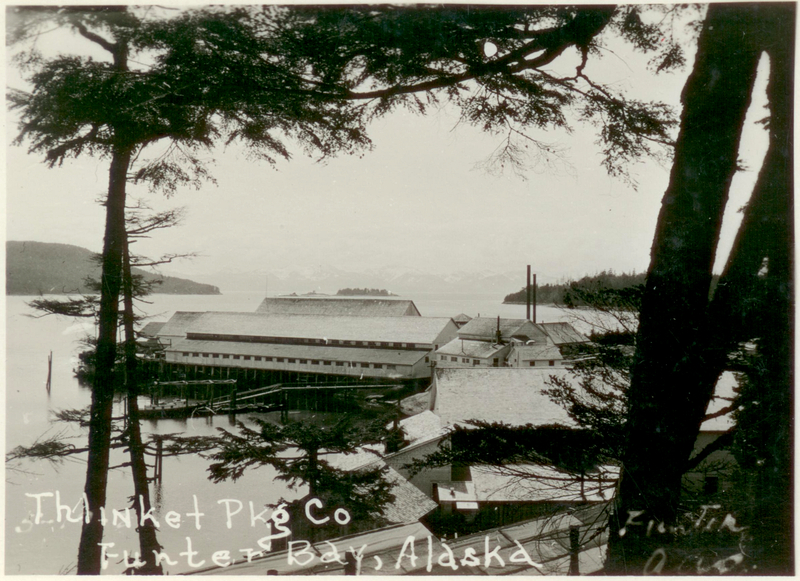 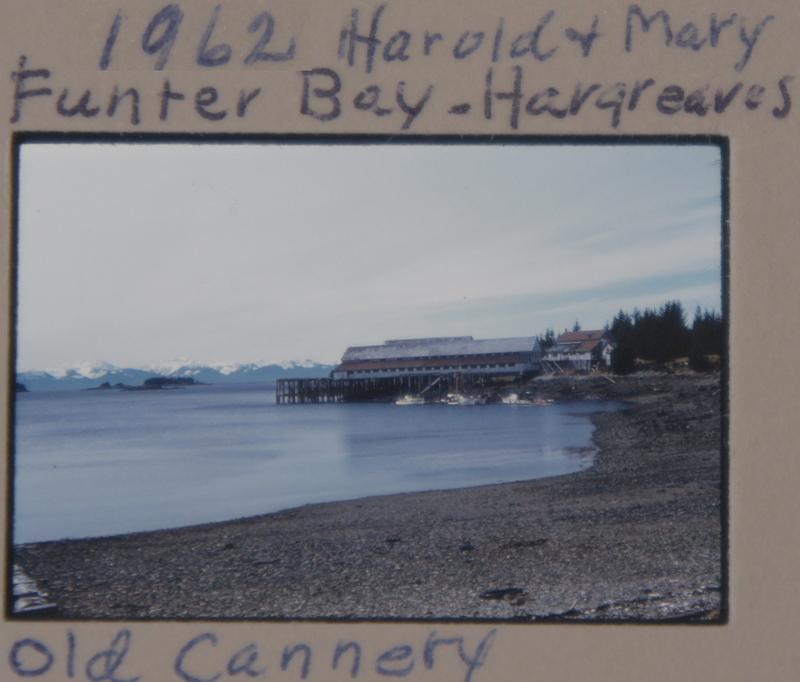 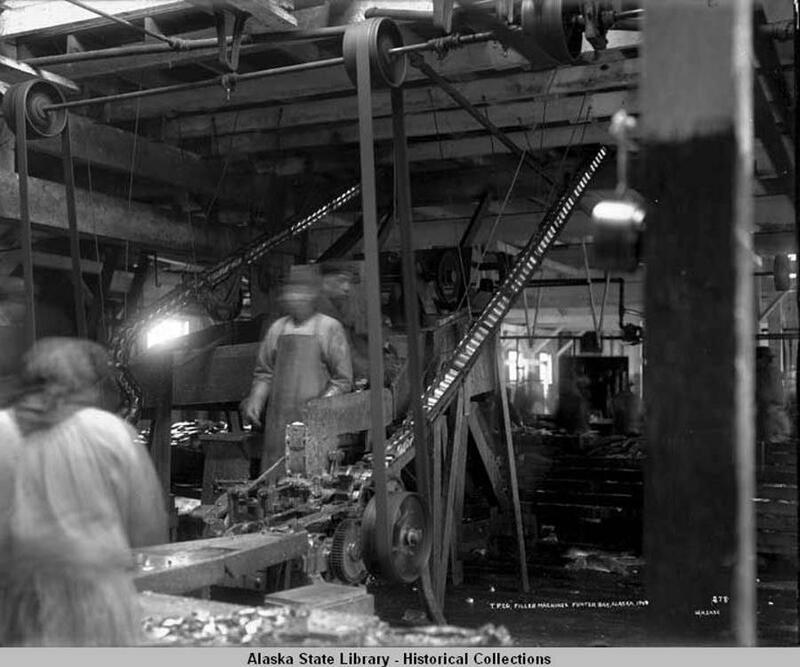 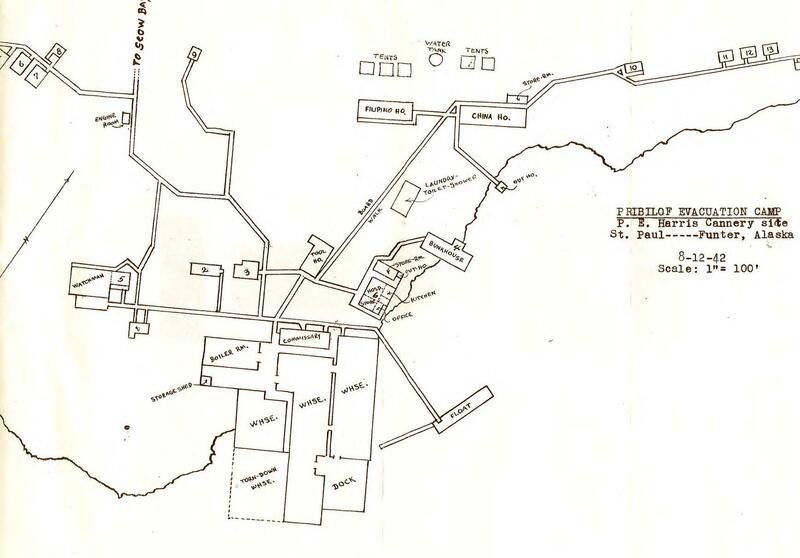 These documents are all from the Juneau Douglas City Museum’s collections, Item #2008.21.073, “Application for cannery license for Thlinket Packing & Trading Co.” and 2008.21.075, “Application for saltery license for Thlinket Packing & Trading Company“. 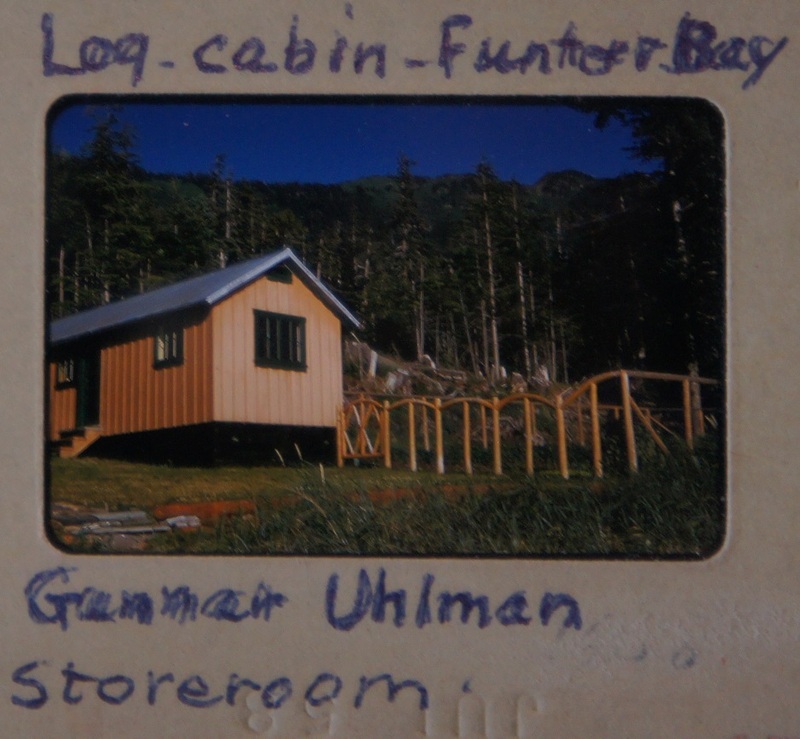 Much thanks to Jodi DeBruyne for helping me locate and view these items!